Saturn 1050mm Gloss White Furniture Pack - Only £319.99! Pack includes toilet and basin pictured below, all for one great price! 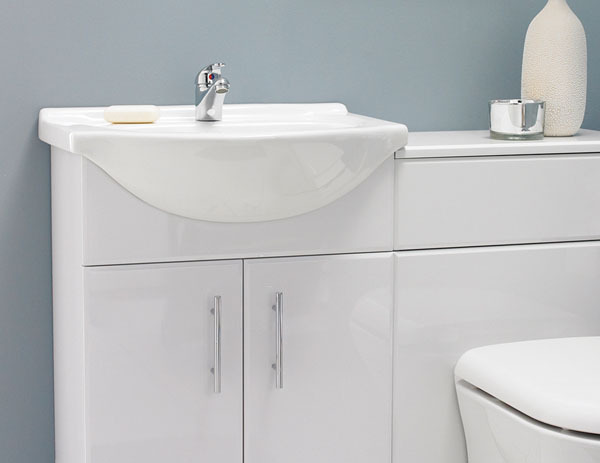 Perfect for transforming your existing bathroom, or if you are having a new installation, the saturn bathroom furniture pack is a wonderful choice for both. Its an ultra stylish and modern set, with its attractive white high gloss vanity furniture it is a pack to show off to everybody. This is a great-looking, very reliable, practical and well-made furniture set - such is the quality that it comes with a fantastic 5 year guarantee as standard. This deluxe furniture pack includes a huge array of items for a highly competitive price. This Saturn 1050mm Gloss White Furniture Pack is stylish, crisp and elegant but at an affordable price. This pack is great value for money and contains everything you could need for your bathroom, ensuite or cloakroom renovation. 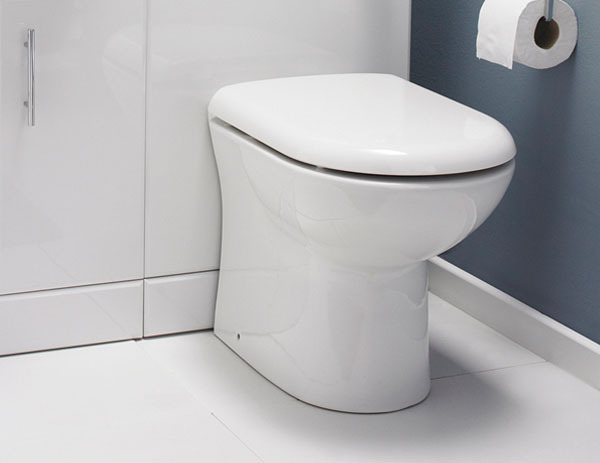 The basin can be placed either to the left or right of the toilet - please specify your preference via the drop-down menu near the bottom of this page. 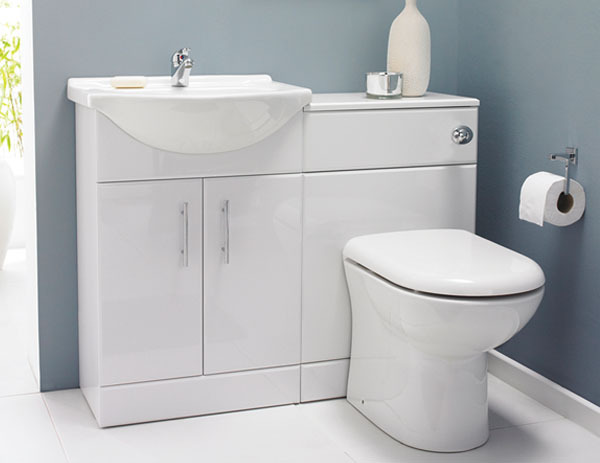 The Saturn bathroom furniture pack includes a 550mm x 300mm basin unit, 500mm x 300mm back-to-wall unit and a D-shape pan and soft close seat with a dual flush cistern. The tap shown in the photos above however is not included as standard, but can be purchased as an optional extra - please contact our sales team on 01942 885700 for more info. The tap pictured above is not included in the pack but can be purchased as an optional extra by phoning our dedicated team on 01942 885700.